When storing board games for children, stack them next to each other. That way when they pull it out, they have a spot to put it back. If you stack on top of each other, kids will usually set the game they were using on the top; which is fine if it was on top to begin with. But if it wasn’t, you will be left with a big game box on top of little games, which then results into a spilled mess in the closet once the board games fall from picking out a different game the next time. Save ourself the mess and the hassle by organizing them like this! Ever wonder what to do once your child stops NAPPING! Well, I decided to create some “Quiet Time Boxes” so that I can still have “ME” time throughout the day. Who here has heard of Quiet Time boxes? Anyone? Well you will know about them now! Quiet time boxes are boxes of activities that you child can do ON THEIR OWN without adult supervision or help. The point is for them to be alone playing and learning without them asking you for help every five minutes. 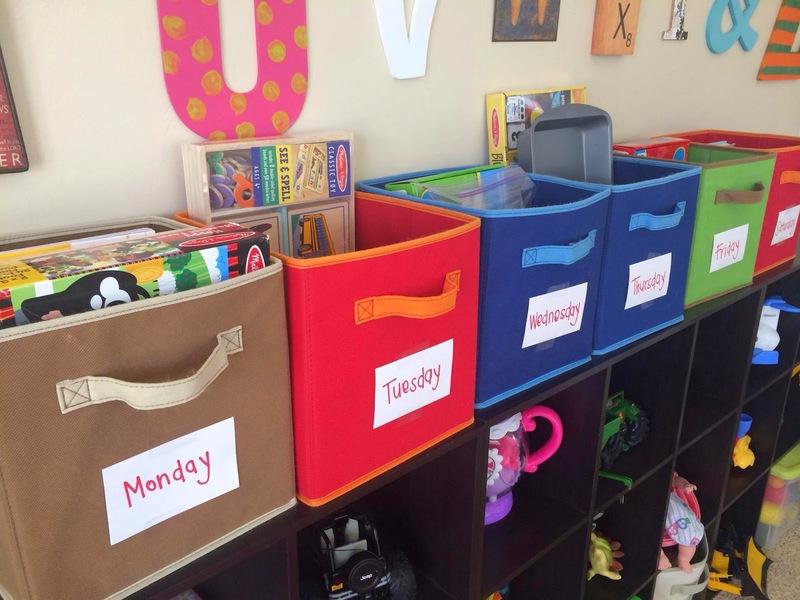 **QUICK ORGANIZING TIP: Not only is this a GENIUS way for them to stay engaged for about an hour each day; but it also helps keep your playroom / toys MORE ORGANIZED!! J-MAN is only allowed to play with these during quiet time- and I set them up to where he only plays with certain toys once a week so that he stays excited to play with them! !